We are delighted to announce the launch of the latest addition to our skincare services. Oncology Skincare Therapy is a specialist branch of advanced skincare designed especially for those undergoing cancer treatment. During and after chemotherapy there can be many side effects on the skin such as dryness, flaking and tightness. This goes beyond what we would normally consider ‘dry’ skin symptoms and can be very uncomfortable indeed. The symptoms can range from mildly irritating to severe enough to affect your quality of life. At Skin Essentials, we have specialist training in understanding and managing these skin-related side effects. 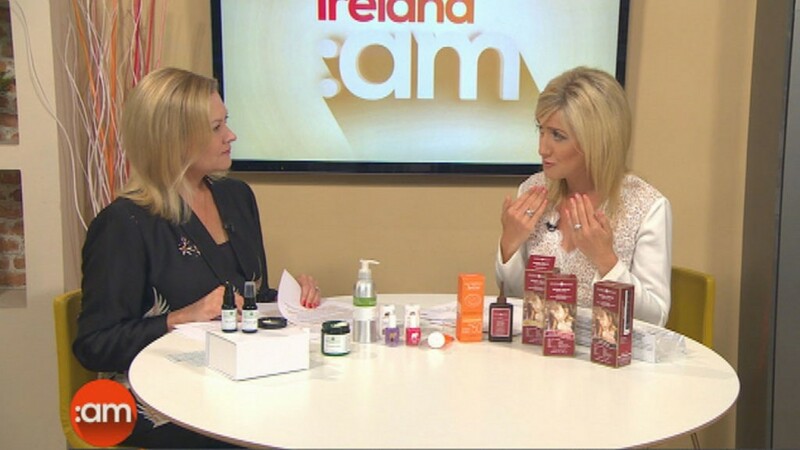 See the Skin Essentials by Mariga Oncology Skincare range reviewed by Laura Bermingham for Ireland AM! Click the photo to read Laura’s comments or click and scroll to watch the video clip! We can help all cancer patients with skin management advice and treatment regardless of where you are in your cancer treatment. Side effects of chemotherapy, targeted treatments and radiation therapy can stay with you for some time after your medical treatment is finished, and we are here to help you right through your journey. 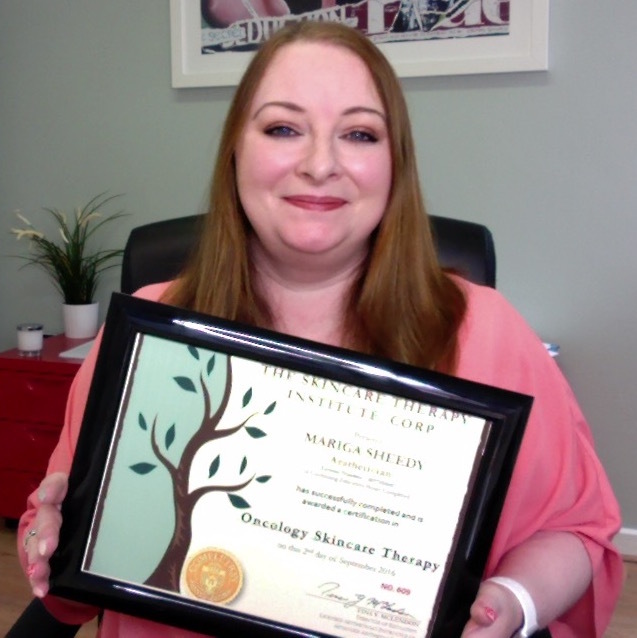 We are the first skincare clinic in Ireland to have achieved an international Oncology Skincare Therapy accreditation. This is something that we have been working on for some time, as it is very important to us that we can be there for our clients through all phases of your life. If you were used to having regular facials before your diagnosis, we want to help you continue that during your cancer treatment with a specially-created safe, restorative protocol. If you have never had facials before and are seeking help with the dry and tender side-effects of your cancer treatment, we would love to meet you and be a part of helping you to still feel like you during your treatment and recovery. (For information on what products are best to use at home click here). Now available for home use! View and buy oncology skincare products and kits on our webshop here. 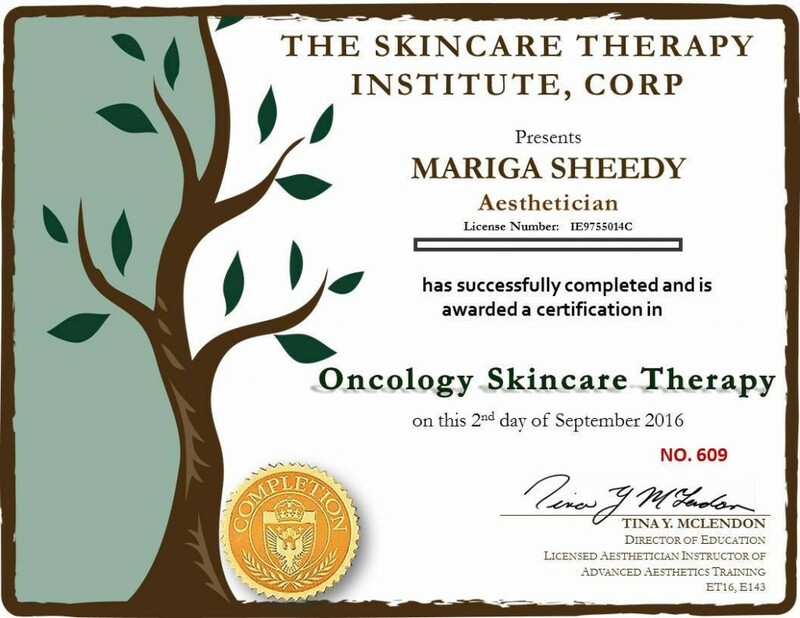 We are the first skincare clinic in Ireland with this oncology skincare accreditation! What does Oncology Skincare Therapy Involve? -We have a specialised consultation pertaining specifically to your current medical treatment which allows us to understand exactly what anti-cancer medications you are on and how they are likely to affect your skin. -We have created a special facial protocol designed especially for the specific skin challenges experienced by chemo patients. This is modified for you at each treatment to reflect your current needs. 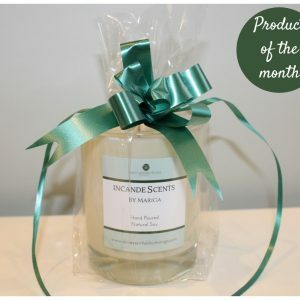 It is deeply relaxing as well as skin supporting. 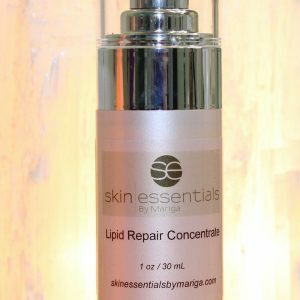 This is a superficial restorative skin care treatment to help build up the health of the skin, by using only safe, non-invasive skin care ingredients and protocols. -If you have experienced hair loss we can also treat the scalp and ears as part of your treatment, but only if you want us to. -We can advise on and recommend the best homecare protocols for you to use to combat dryness (xerosis) on face, hands, feet, nails and body. -We understand your need for privacy and will never ask you to wait in our public reception area. You will need to take your wig or headscarf off for treatment if you are wearing them due to hair loss. We will supply a sterile head covering for your comfort if you prefer not to have a scalp treatment. -We understand the need for infection prevention practices and use sterile disposables and hospital-grade cleaning products in all of our treatment rooms. If there is any suspicion of your therapist coming down with a cold or otherwise not feeling 100% well, we will offer you the choice (before you arrive) of seeing another therapist or rescheduling your appointment. -We understand that you feel differently on a day-to-day basis and will sometimes have to cancel an appointment at short notice. Our normal 24-hour cancellation policy will not apply to oncology facials. -We will not tire you out by talking too much. You may choose to have our initial consultation form emailed to you to fill out at home, before attending for a facial or advice session, if you wish. On subsequent treatments we will only ask if anything has changed with your meds, treatments or skin since your last visit. Then you can go to sleep! -Located in Wexford, Town, we are easily accessible to those travelling from around the county, from Waterford, Carlow, Wicklow and Dublin for treatments and of course our webshop is available for purchase of products for delivery throughout Ireland and the UK. -Our facial bed is fitted with Comfy Client Cushions which can be adjusted and placed for maximum comfort, taking into account any areas of post-surgical or post-radiation tenderness. This client comfort system was developed for maximum comfort and support in any position and is NHS hygiene-approved. 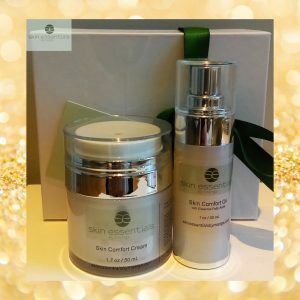 Note: when we say cancer /oncology skincare, we mean helping you to deal with the side effects of all cancer treatments for all types of cancer as the side-effects relate to the skin. We do not mean helping you to deal with skin cancer. 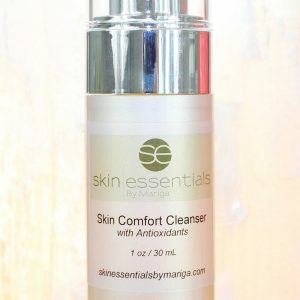 We are a non-medical skincare clinic and all services offered are to support you in keeping your skin comfortable while you go through your medical treatment.